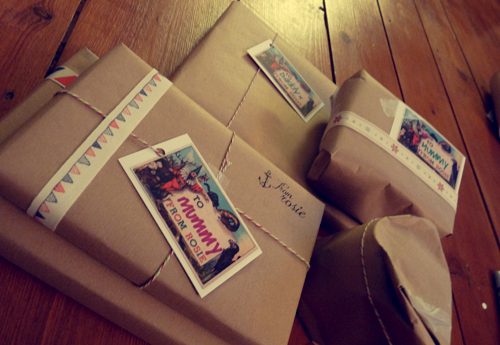 The ribbons were recommended to me by the very lovely Sammi and can be bought from eBay here. 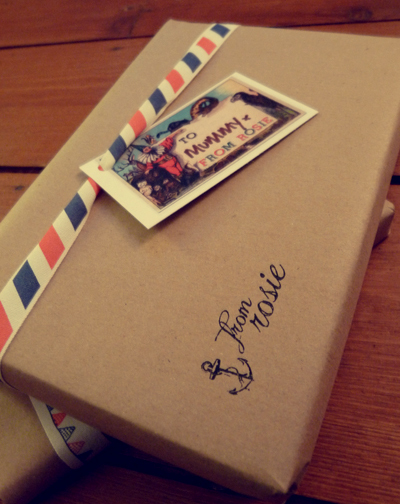 The Christmassy twine can be bought here and the stamp and labels were ordered from Vistaprint. I mentioned in a previous post that I was unimpressed with them and Groupon after it turned out I could have got more for my money without the voucher, but to Vistaprint’s defence they sent me some more cards to make up for it. 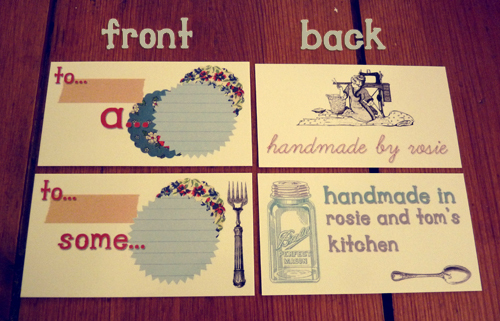 Along with the labels in the top picture, I also had these printed for attaching to my handmade goodies (with gingham ribbon, of course!) I’m mostly making edible goodies (biscuits, fudge, truffles and chutneys) so the blank bits on the labels are for writing on what’s in the jar. I ordered this kit from Making Your Own Candles a few weeks ago and finally started making teacup candles tonight. 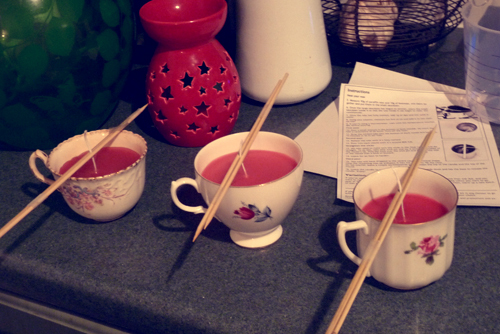 Here they are lined up waiting for their last top up of wax (the skewers are to keep the wick nice and straight). The website is great – if you sign up for their newsletter you can get a free kit to make a teacup candle as well as a 10% off voucher. 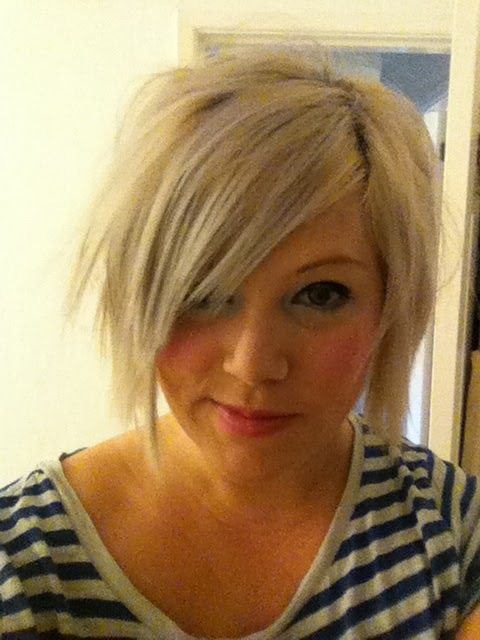 I got my hair cut on Monday (sorry for the bad iPhone photo). I was trying to grow it long but I got fed up of it; my hair is so thick that it just gets unmanageable after while. Luckily my hairdresser is a good friend of mine and so was able to turn my whinging into my crazy mane into an awesome haircut! 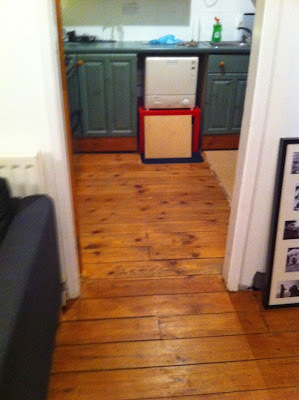 I really like it all choppy and love that it needs very little doing to it in the morning. 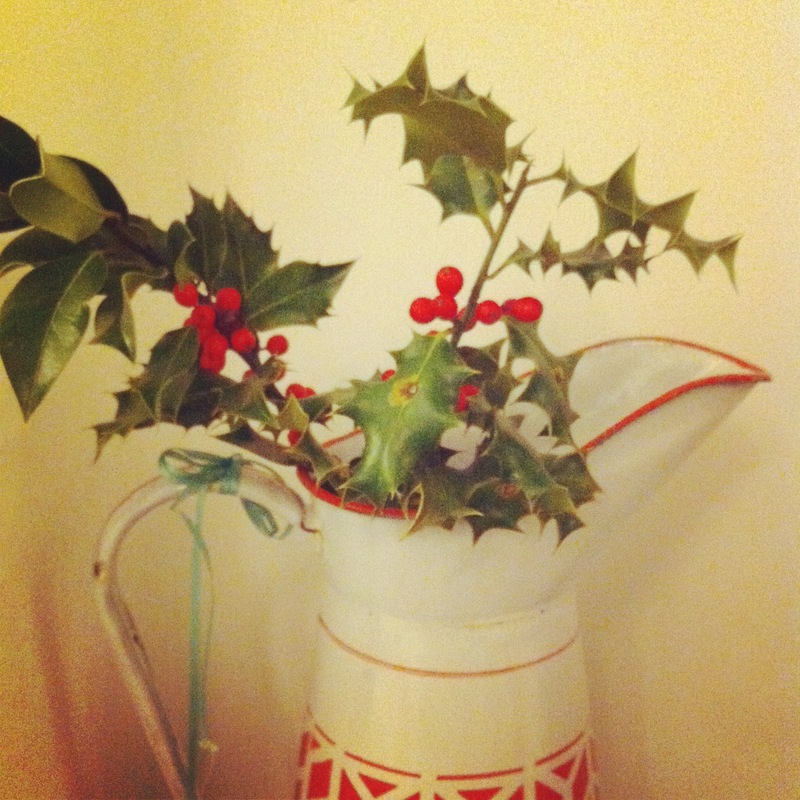 Tom has said we’re not allowed to put our tree up until December 1st so I’ve been trying to add other Christmassy touches like sprigs of holly around the house. 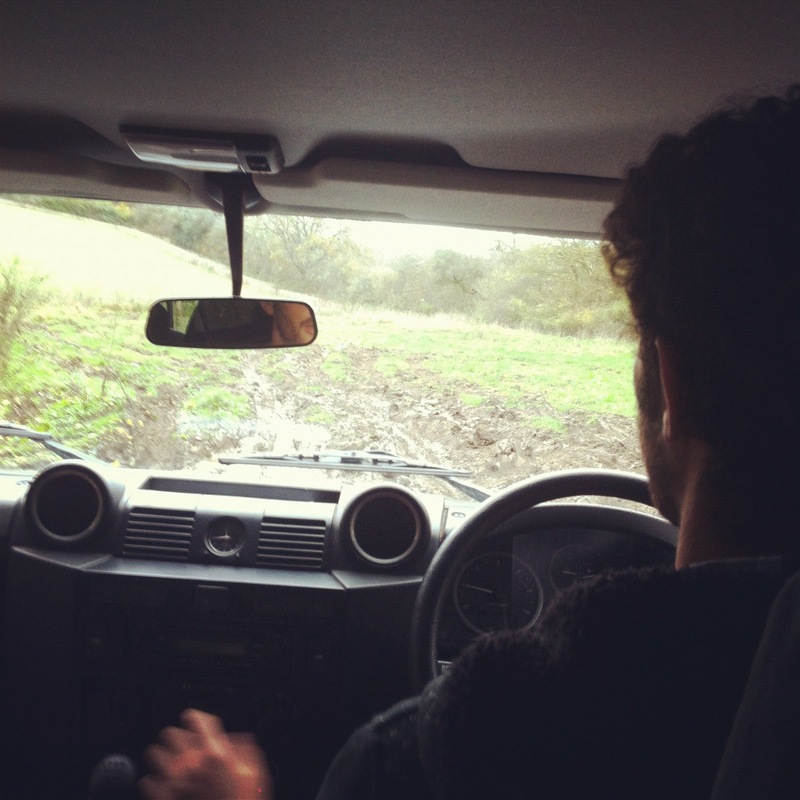 I bought Tom a voucher for an off-road driving experience back in June – he wanted to wait till it was muddy however, and so we went and did it today in Andover. It was loads of fun – I was in the back being official photographer and trying not to worry about all the perpendicular drops and thick mud!